For every design, like the classic stiletto heel, which becomes a classic and seems never to age, there are many more fads that simply fade with time and fall from our memories. Sadly, there is also a third category of shoe – the footwear that is so garish and horrible that it falls out of fashion very quickly but, due to their unspeakable qualities, are impossible to permanently erase from our mind. Be they impractical, impossibly ugly or a combination of both, here are some shoe trends that have managed to stand out in the 10’000 plus years of footwear design. 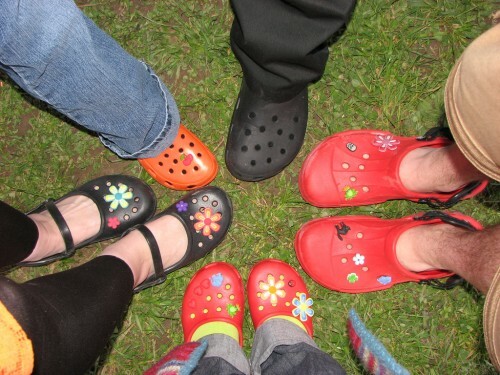 Crocs represent the most recent design on the list and one that still has not quite been banished to the history books despite their repeated critical mauling. Despite even Tony Blair professing to owning a pair, it is still almost impossible to describe the ugly nature of the shoe. Essentially they look like a garishly coloured plastic clog but with the addition of several Swiss cheese-esque holes. The shoes are neither practical nor pretty to look at and could only really be worn behind closed doors as comfort shoes – a role already successfully filled by slippers. This is the oldest trend on the list and perhaps the most disturbing. Whilst wearing high fashion shoes without care can accidentally cause bunions and similar problems to the feet, this is one of the few trends that require the wearer to disfigure their feet on purpose. The idea of binding the feet was to make the feet smaller and, apparently, more feminine looking. Despite the pain the practise inflicted, the trend was still popular well into the twentieth century. The process involved breaking bones including in the toes and the arches, before the feet was bound into bandages to prevent them from growing. 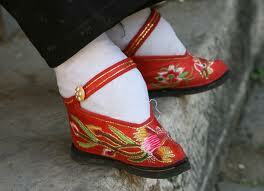 The small feet could then fit into miniscule shoes which often looked smaller than children’s. Sneakers were invented specifically for sporting activity; their emphasis was not primarily on aesthetics so it would be harsh to judge them solely on looks. However, sneakers with any of their practical functions removed are rendered beyond pointless. The Spice Girls in the mid 1990s, in all their cartoon style glory, decided to re-appropriate sneakers and make them a part of their distinctive look by adding huge platforms to them. The shoes, which were even more garish now, were of no benefit to anyone – they could neither be used as part of a formal dress (as they were too ugly) nor as a casual outfit (as they were too over the top) and could certainly not be used for sports any more. They were the most ugly and useless shoes of the decade and perhaps for some time prior to that, too. Like Platform-sneakers, dress-sandals are a mixture of styles that literally have no reason for existing. Sandals are not known for their sophistication or their elegance and in fact should only be used for lazing around on a beach. Trying to make them look more suitable for a dinner engagement destroys the purpose of their existence (comfort over looks) and fails miserably in looking smart; supposedly teamed with suits and formal wear, the comfort the sandals provide would be undone by the formality of the rest of the wear and, as such, dress sandals are a style which thankfully died a death quite quickly. 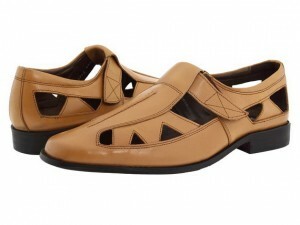 Kieron Casey is a fashion writer who plumps for the most sensible mens footwear.